Welcome To Golden Bear Holiday Homes! 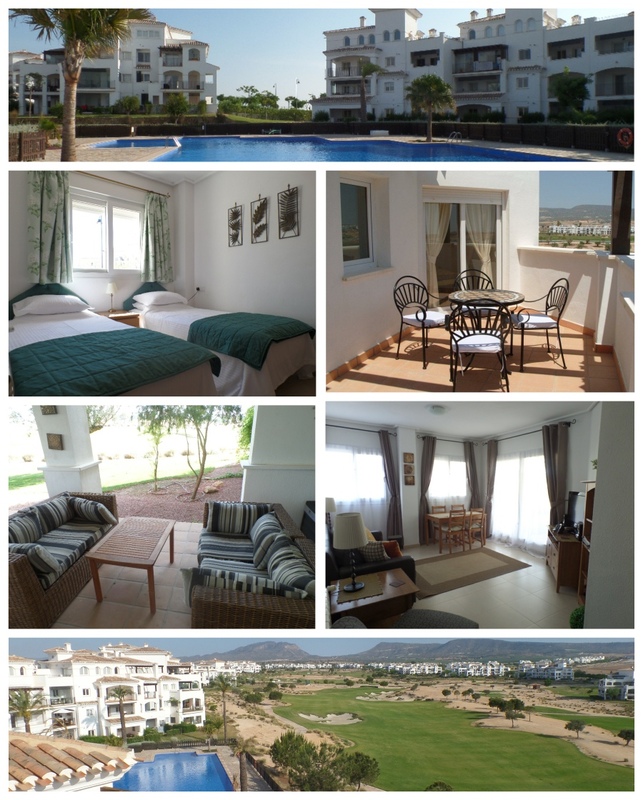 We can arrange fantastic holiday accommodation on any of the fabulous Nicklaus designed Golf Resorts in Murcia, Spain. Prices start from £270 per week. All properties advertised in phase order so if you are looking for more than 1 apartment your search criteria is made easy. (All prices on application). We can also organise all of your travel plans from flight bookings, car hire, golf course bookings and excursions. This family-friendly resort has wide, open spaces and is designed to give a sense of peace and tranquillity and to provide an experience of nature in all its glory. There are over 1,800 two-bedroom apartments most with free wifi. The resort is spaciously laid out around a championship Nicklaus designed golf course located between the village of Sucina and the Sierra del Carrascoy Mountains, on the Costa Calida in Murcia.